Enjoy your favorite movies and TV shows anywhere, using the Nebula Capsule II projector. 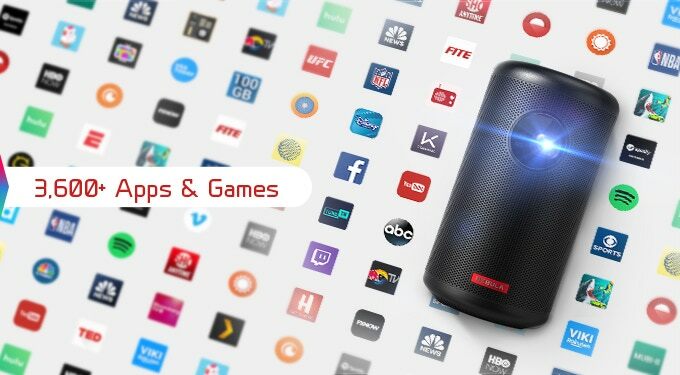 This compact projector is an Android TV pocket projector and what it lacks in size it makes up for with a high-quality display and built-in sound system. 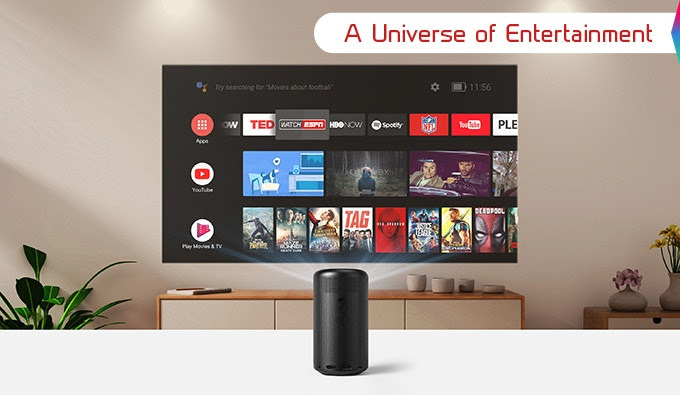 The Nebula Capsule II supports Android TV, putting over 36,000 movies, shows, games and more from Google Play, YouTube and other streaming apps up on the big screen. HDMI connectivity supports streaming boxes, like Roku, Blu-ray and DVD players and gaming systems, like Xbox, PS4 and Nintendo Switch. Built-in Bluetooth support provides further connectivity options. Google assistant support helps you easily find the program you want without lifting a finger. The Nebula Capsule II boasts a 720p high-definition display. With 200 ANSI lumens, this compact projector is twice as bright, ensuring a quality display in a variety of lighting conditions. The display can project images to fit up to a 100” screen and features 1-second auto-focus and keystone correction to best fit your space. Enjoy a theater experience on the go thanks to a powerful built-in 8W speaker. Dual passive radiators deliver a deep bass for an immersive audio experience. The Nebula Capsule II is equipped with USB-C connectivity and can be fully charged in as little as 2.5 hours. The built-in li-ion battery delivers up to 3 hours of play time. Order your Nebula Capsule II on kickstarter.